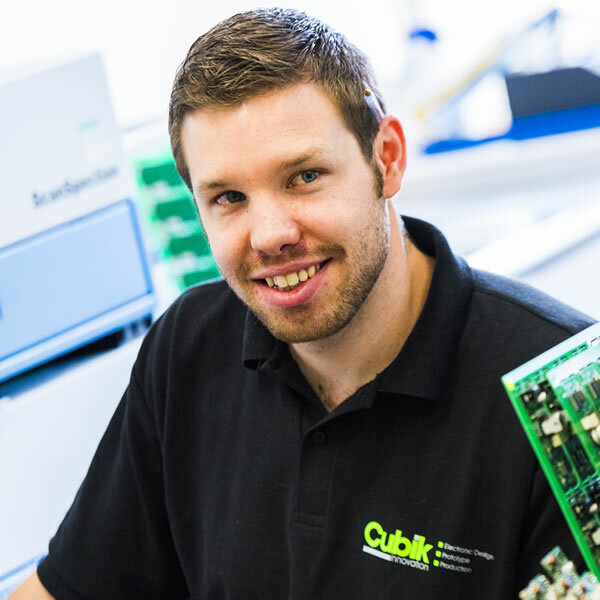 Steve is our procurement controller and is responsible for managing the goods in and goods out of Cubik production. He also has an important technical role within our production department and works on surface mount soldering, production setup and the build of wiring harnesses. Steve has experience in a range of engineering based industries including mechanical design and roof and floor joist design. His varied background gives him an instinctive knowledge of ‘how to put things together’, which aids him well in life at Cubik. Outside of Cubik, Steve is heavily involved with a local Scout group as an Assistant Scout Leader, which fits nicely with his love for being outdoors and getting away from it all.